Katherine Bardsley and Anjali Nambrath are two insightful high schoolers from a science-focused high school in New Jersey. You can track the findings of their experiment—The Effect of Lamp Type on Moth Attraction—in their blog, Of Moths and Mercury. Idia americalis, a moth found at the mercury vapor setup during Day 4 (May 11, 2014). Photo by Katherine Bardsley and Anjali Nambrath. From birdwatchers to butterfly taggers, people everywhere enjoy discovering new things by observing the world around them. 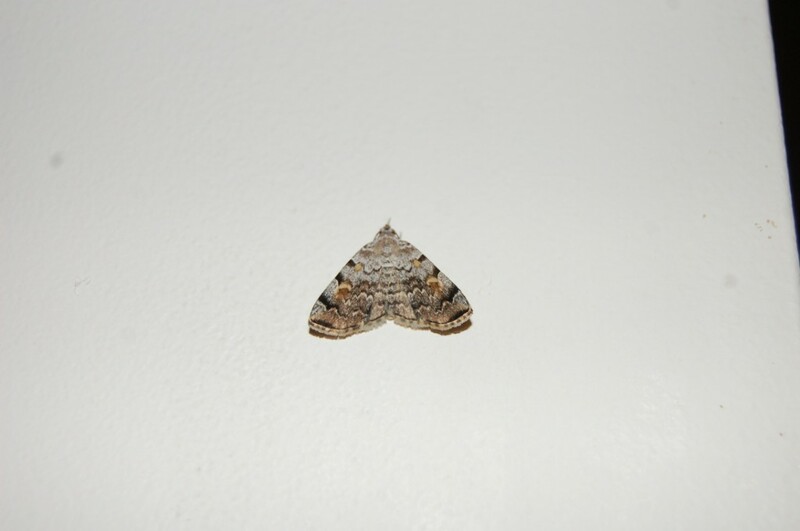 Aside from birds and butterflies, there is also a large contingent of moth enthusiasts, commonly called “moth’ers”. 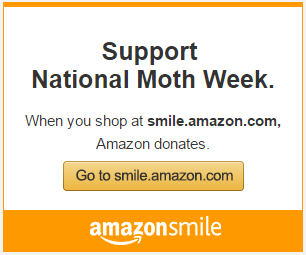 The two of us were intrigued when we heard this, as we had never heard of “moth’ers” before. 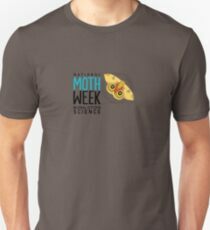 We heard about an event called National Moth Week from our biology teacher, which actually began in New Jersey as a way for “mothers” to get together to collaborate. Our biology class later Skyped with a high school student, Jacob Gorneau, from upstate New York, who was integral to the data collection of Moth Week. He talked to us about citizen science and the impact everyone could have on field science. He said he participates in Project Noah, an initiative to help nature enthusiasts identify plants and animals they spot. Both of us were inspired by his story, because it showed us that we, as freshman students, could help scientists in their research. We are also reading Dr. David Haskell’s best-selling book, The Forest Unseen – A Year’s Watch in Nature, in our English classes. It discusses the beauty of nature, and the intricacy of its workings from a biologist’s point of view. Field studies like Dr. Haskell’s are a major part of our biology class as well. In short, we are surrounded by field science in school, and after Skyping with Jacob Gorneau, we were inspired to propose and eventually conduct this experiment related to moths. The moth setup we are using for our experiment. Photo by Katherine Bardsley and Anjali Nambrath. We have already tried attracting moths using moth bait – a mixture of stale liquor, overripe fruit, and sugar or molasses. We were not very successful with this technique. Jacob Gorneau had told our class that he used lamps to attract moths. The type of lamp he used is a halogen lamp, which works by combining a halogen gas with tungsten vapor to produce light. 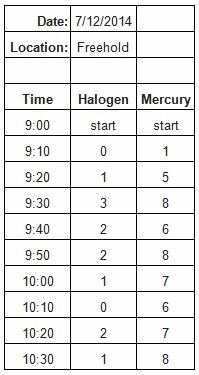 Halogen lamps also produce a great deal of heat. However, Jacob Gorneau told us about using mercury vapor lamps. They work by heating mercury, normally liquid at room temperature, until it vaporizes and ionizes. The mercury then emits light and heat. The major difference between the two lamps, aside from how they work, is the color of light they produce and their lifespan – mercury lamps last much longer than halogen, and produce bluer light. We wish to investigate whether the type of lighting significantly influences the number of moths that can be attracted with each. We created a setup similar to Jacob’s. Each lamp has been placed inside its own tall frame, made of PVC (polyvinyl chloride) piping. 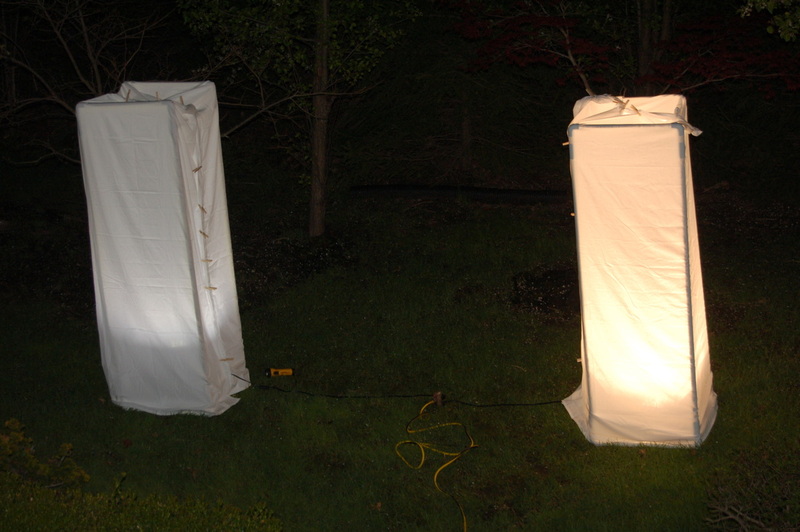 A sheet was placed around each frame to prevent moths from touching the lamps and dying. Each frame will be put outside at night for two hour periods for two days at four different locations. So far we have sampled at two different locations on a few different occasions. The moth-attracting ability of the two lamps will be measured by comparing the average amount of moths on each setup across all eight nights. Since mothing season had not yet come around when we were doing much of our sampling, we don’t have a large quantity of data as of now. The most recent sampling data, however, shows that there is a significant difference between the moth attraction of the two lamps. The mercury vapor lamp attracted significantly more moths than the halogen lamp. The difference in moth quantities was quite evident, but we need further sampling to make sure that this pattern wasn’t just a fluke. Anjali and I hope to collect more data before we begin our sophomore year at High Technology High School in the fall. Data observed one evening by Katherine Bardsley and Anjali Nambrath’s faculty adviser. This entry was posted in Light Set-Up, Mothing. Bookmark the permalink.